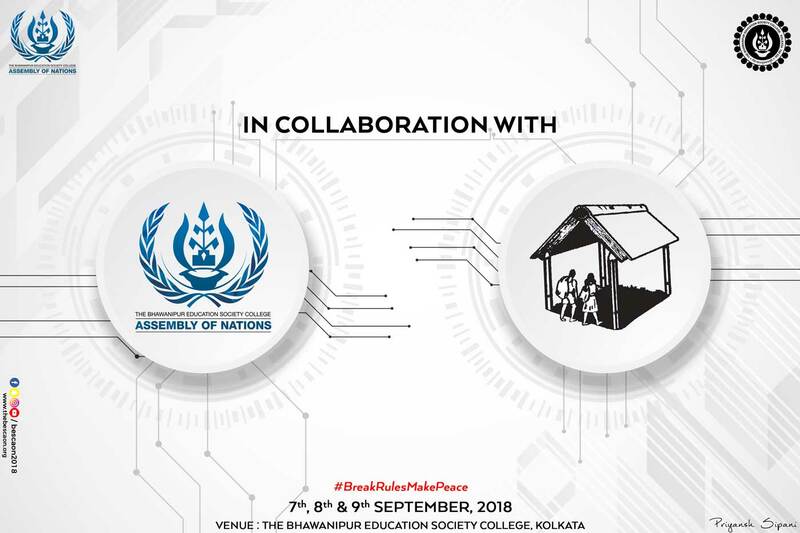 The Bhowanipur Education Society College (BESC) Assembly of Nations 2018, is a International Model United Conference dated on the 7th, 8th and 9th of September 2018. Meet the women benefiting from our new handicrafts project. This is Rashida Bibi. Beside her is Anjum Khatoon, her 6 year old grand-daughter. Rashida is 35. Rashida lives in a makeshift shelter beside the stinking nullahs (open sewers euphemistically called canals) of the Topsia rag picker community in central Kolkata. Child marriage is common here. Illiterate, married at 14 and a grandmother in your 20s, life is a cycle of drudgery, poverty, domestic violence and child bearing. A girl can be empowered to break the cycle through education and paid work. 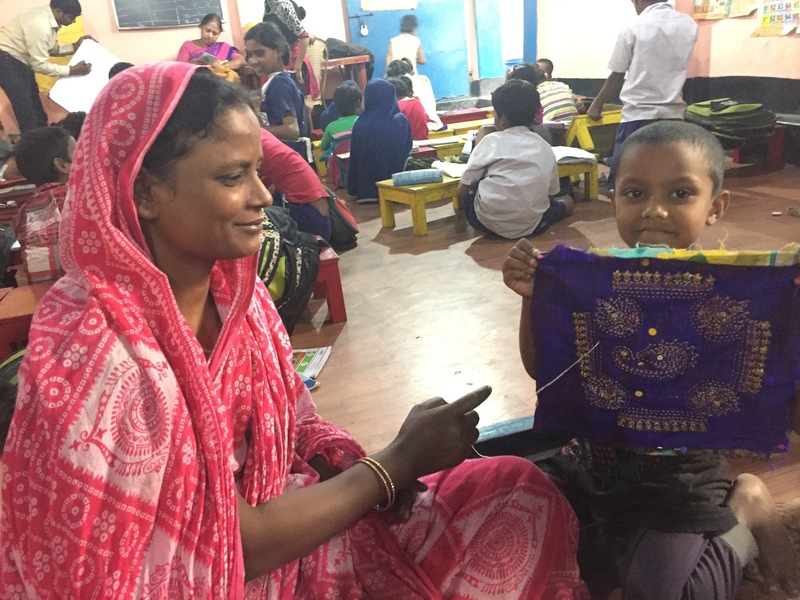 Leicester artist Linda Harding and librarian Helen Bratchell (both fabulous needlewomen and Indiaphiles) led a workshop in November on behalf of Tiljala SHED for 25 women and girls like Rashida. 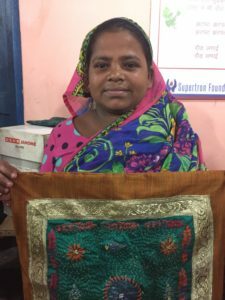 Using old saris, traditional block printing, kantha embroidery, sari ribbon and various embellishments, the women made the most beautiful cushion covers and tote bags. Rashida and the others loved the workshops: “Usually we get called to boring meetings [on child protection, health and hygiene] This was so much better” said one. They really want to make a living from this. Can you help us to set up this project, so that we can empower not just these 25 but ultimately 100s of women who desperately need paid work so that they can support their families and avoid early marriage? Donations of old saris from my Kolkata friends would be most welcome too. 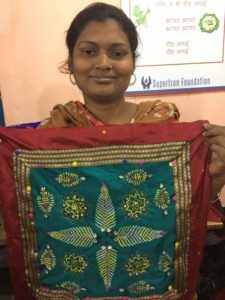 One old sari can help a woman feed her family for two and a half months.